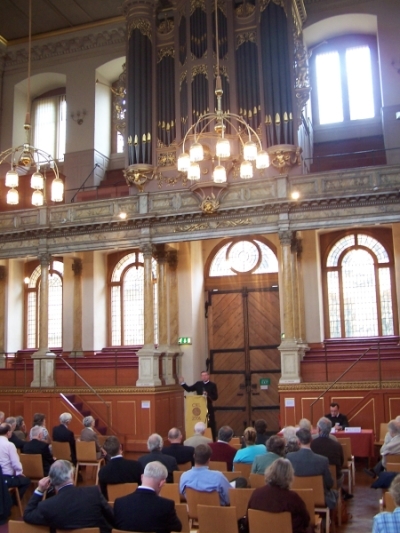 The Colloquium took place from 13th to 16th September, in Merton College, Oxford. 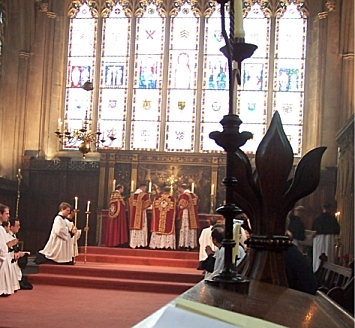 Masses will take place in Merton College Chapel. "We are pleased to report that the CIEL 2006 colloquium held in Oxford this past September 13th-16th, 2006, was a great success in all regards, with more than 160 delegates in attendance (excluding those who solely attended the liturgies), a significant number of clergy and religious, and a wide representation of nations present. The various liturgies and papers presented at the colloquium present a manifest and evident excellence in the celebration and study of the Roman liturgical tradition." Pontifical High Mass was celebrated by Bishop David McGough, auxiliary bishop of the Archdiocese of Birmingham. 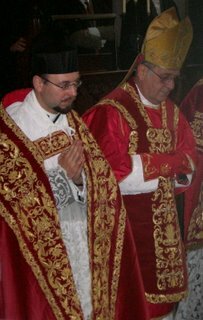 Fr Anton Guziel was Assistant Priest. See report and pictures from the 'Cornell Society' blog. Here's a long report from the New Liturgical Movement blog (with lots more pictures): Part 1 and Part 2. Here's a short video from Fr Tim Finigan.